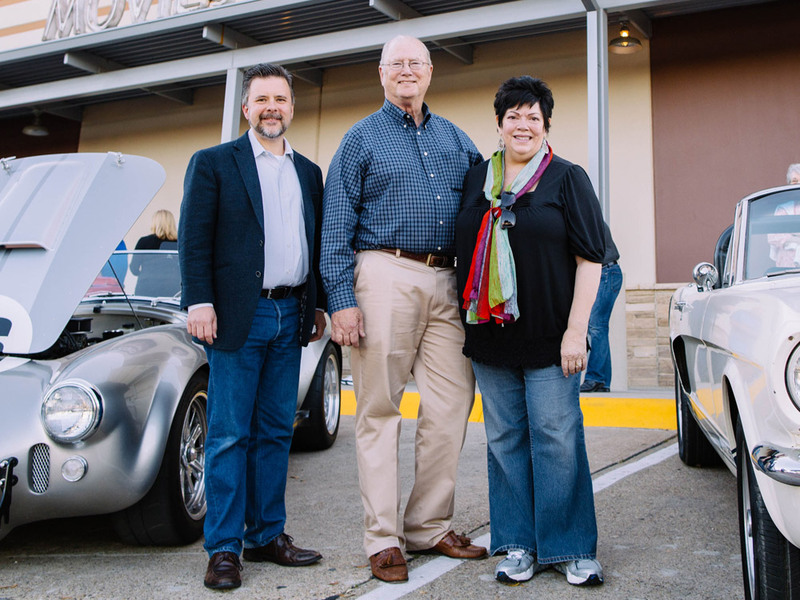 This month’s AIR Time features Michael Shelby, the oldest son and middle child to automotive designer, racer and entrepreneur Carroll Shelby and his first wife, Jeanne Fields Shelby. Growing up while Carroll was still in the midst of his racing career, Michael attended the 1958 European Circuit and LeMans in 1959 with his father. During his high school years, Michael spent time working at Shelby American from 1962-1965. Time spent with Carroll often meant spending time other celebrities of the day. Michael recalls spending time with Twiggy, Chuck Yeager, and Jay Leno among others. Today Michael credits his dad for giving him an appreciation for farming, classic cars and racing. Vintage and new cars will be on display in front of Alamo from 5-8:00pm that evening including 2016 and 1968 Chargers and Mustangs. The 2016 Charger is compliments of Richardson Chrysler Jeep Dodge Ram and the 2016 Mustang is through Town East Ford. Both dealerships take pride in partnering with local organizations to help make a difference in their communities. The film featured for this AIR Time will be 1968’s BULLITT (1 hr, 54 min), starring Steve McQueen, Jacqueline Bisset and Robert Vaughn. McQueen is BULLITT, the all guts, no glory San Francisco cop who is determined to find the underworld kingpin that killed the witness in his protection. BULLITT is renowned for one of the greatest car chases in film history between a Mustang and a Dodge Charger. McQueen did all his own driving which included a reverse burnout which wasn’t in the script. He had actually mistakenly missed a turn but then it was kept in the footage.